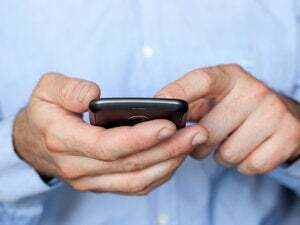 Nuance Communications has announced T9 Trace software that lets users input text on a touchscreen phone by gliding their finger from one letter to another on a virtual keyboard, the company said on Tuesday. Writing text that way will be faster and easier than typing one letter at a time, according to Nuance. T9 Trace understands over 70 languages, can be integrated on any device platform and supports QWERTY and 12-key touchscreen layouts, according to Nuance. The software also has an auto-correct feature that will fix mistakes such as misspellings and punctuation errors, the company said. Nuance will have to compete with Swype, which already offers the same input method on phones from Samsung and Motorola. Nuance did not announce any phone makers that plan to use T9 Trace on their touchscreen phones. On Monday, Samsung and Swype announced that they had set a Guinness World Record in a new category for the fastest text message on a touchscreen mobile phone, using Swype on the Samsung Omnia II. Franklin Page, a Seattle resident and recent employee of Swype, wrote, "the razor-toothed piranhas of the genera Serrasalmus and Pygocentrus are the most ferocious freshwater fish in the world. In reality they seldom attack a human" in 35.54 seconds. In general, users should be able to input over 40 words per minute using Swype's technology, the company said. At that rate, this article could be typed in under six minutes.